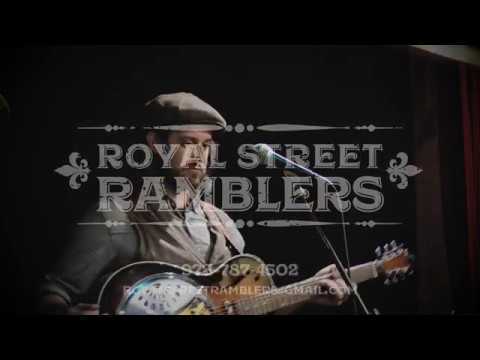 The Royal Street Ramblers are a dynamic group of talented musicians playing everything from traditional dixie-land jazz and blues to brass band funk and gypsy tunes. From Big Festivals, Weddings & corporate events to small gatherings and Mardi Gras style marching lines, the Ramblers do it all! We hired the Royal Street Ramblers play our wedding ceremony, cocktail hour, and dinner, and they were everything we could have hoped for and more. 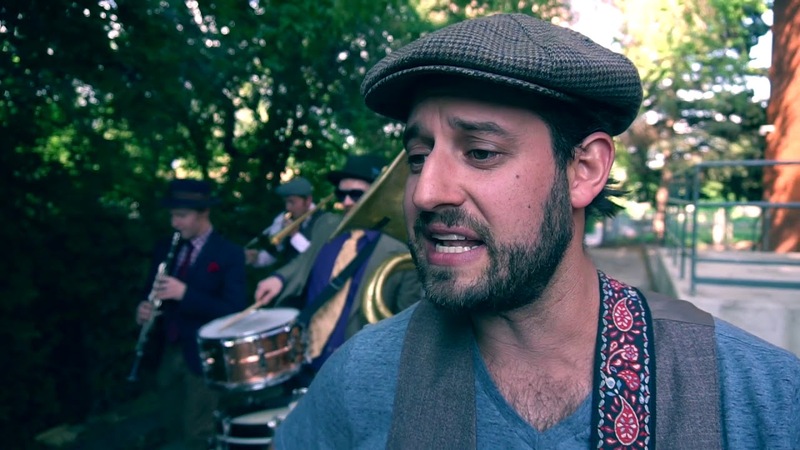 We were looking for a New-Orleans style jazz band and we were surprised to find such an authentic and talented group in Denver. Since we had DJs play later into the evening they accommodated our budget and played as a trio (guitar/vocals, upright bass, and horn). They included two song requests in their fee including a new song that wasn't on their song list. We couldn't have been happier with their performance and their ability to match their music to each moment of the evening. We would highly recommend the Ramblers and hope to hire them again for another event in the future. Thank you so much for the kind review! Your wedding was an absolute blast to play for and your family was very sweet to us. Our Residents are raving about the Royal Street Ramblers! Amazing group! Gary and David played beautifully for 50 of our music loving Residents. Several of them let us know it was the best entertainment we've ever had at our community. They asked that we bring them back, and we certainly will! Thanks guys!! You are too kind!! Thank you very much and we are excited to return! The Royal Street Ramblers were a PERFECT addition to our "After" Mardi Gras Party! The music was on point for our event, the band gave us a total experience with The Second Line parade and the crowd roared with applause. The gentlemen were engaging and very accommodating with our community. We look forward to having them for future events. The Royal Street Ramblers are the REAL deal! Book them today! Vanessa, your Jambalaya is the REAL deal! Thank you so much for the hospitality! Royal Street Ramblers have been great to work on 3 separate occasions - at Arvada Tavern, Stanley Marketplace and Denver Bazaar. They have a sound that ranges from well-known swing tunes to funk. They're perfect for getting the party started and keeping it going! 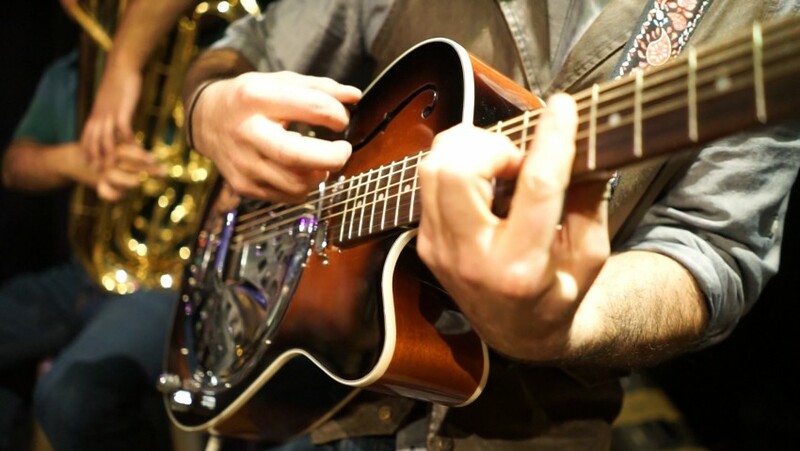 Be prepared for a fusing of NOLA classics, combined with repertoire from the gypsy jazz school, a smattering of originals, and some classic Brass Band funk to switch it up.